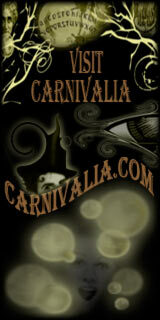 "Our Pagan community is growing and showing much bright promise. The Craft is a tough weed that will grow many strange flowers and bear strange fruits, so we must try and tolerate different ways of practicing it. Learn from what we see and if we cannot use it, let the others try, even if they eat bad fruit and go balls up!" 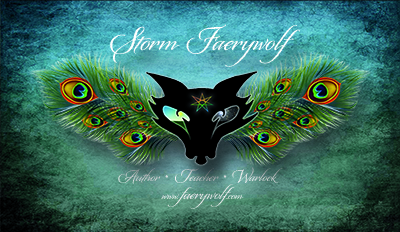 This is our complete list of Feri/Faery teachers who wish to be listed publicly. We do not have contact information for Feri teachers beyond this list. As newer teachers make themselves known they will be listed here. Being listed here is in not an endorsement of a teacher's practices. Use your own better judgment when choosing a teacher. Anaar (San Diego, CA) Long-time student and initiate of the Andersons, also had some early training with Bloodrose. Named Feri Grandmaster by Cora Anderson in 2003. Artist and owner of Tombo Studio. Emphasis on the creative arts as a gateway to Feri. Christopher Angelo (Boston, MA) is a Feri Initiate offering in person training with an emphasis on working with the Pentacles & developing a personal relationship with the Feri Gods & Guardians. He takes a practical and simple approach to embodying his Craft and Magic. Christopher was initiated by Storm Faerywolf and Valerie Walker and his methods and work have been strongly influenced by both BlueRose and Dust Bunny lineages and methodologies. Karina_BlackHeart (Northeast; Long Distance and Travel) Black Heart line. Feri Initiate offering early training in person or over distance. Advanced training in person. Available for workhops and intensives. Strong emphasis on the ecstatic embodiment of Feri lore and practice. Chas_Bogan (Walnut Creek, CA; and Long Distance) Co-creator of FeriTrad.org, artist and craftsman for Carnivalia, and with his husband Storm Faerywolf runs the store The_Mystic_Dream. His creativity was born from his work in Feri, and is a focus of his training. In person and long-distance, he teaches a lineage of Feri that is focused on the individual, accomplishing the Great Work through Feri's eccstatic practices. 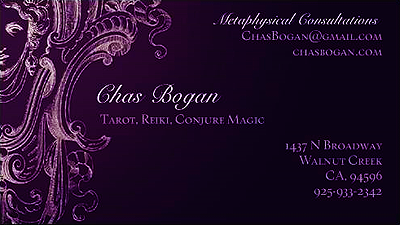 Chas Bogan is a founding minister of The_Temple_Of_Faery and teaches material through the BlueRose school. Amoret BriarRose (Pittsburgh, PA; Long Distance, and Travel) - Initiated in 2012; teaches core Reclaiming classes, offers spiritual mentorship for those interested in Reclaiming Feri. Emphasis on community leadership, ritual arts, personal practice and spiritual training as a personal call to transformation. Georgia_Midnight_Crow (West Sussex, England) Reclaiming-Feri initiate. Offers a two and a half year intensive training in foundational witchcraft skills core to the Reclaiming and Feri Traditions. 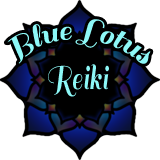 Uses the creative arts, devotional practices, and integration of Reclaiming-Feri spiritual/magical lore. Teach in a class structure and one on one. Dominic Elemirion (Albany, CA) Feri initiate teaching in person classes. 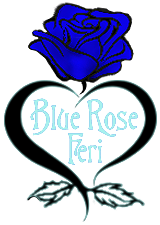 Storm_Faerywolf (San Francisco Bay Area; Long Distance, and Travel) Trained and initiated into the BloodRose line, he continued his studies with several other branches of Faery and incorporates their unique expressions into BlueRose, his own school and lineage of the tradition. He holds the Black Wand of the Master, is the co-creator of FeriTrad.org, and is a founding priest of The Temple of Faery. Classes focus on personal alignment and utilize ecstatic practice, practical sorcery, traditional lore, spirit contacts, visionary work, artistic expression, folkloric faery practices, divine possession, and queer mysteries. Group classes are in-person. Long distance and in-person apprenticeship classes are one-on-one private sessions tailored to the individual. Training is intended toward initiation but is not guaranteed. Prerequisite: Black Rose Witchcraft. Hilary_Geller (Berkeley, CA) New class to start Wednesday, Sept. 5, 2018 at 6:45 pm. Class will remain open for 3 months. Sign up now to be considered. Careful and thorough teaching system. Classes are long term and intensive. They are, basically, training for the priesthood, if you so desire. Classes are small with much individual attention. I don't teach online. Hilary is a Feri initiate, dancer, dreamer, and long time teacher, whose senses are open to the Gods and spirits... e-mail silvermayim@gmail.com or message on Facebook. Margit (Southwest Germany) She was initiated by Karina BlackHeart. Her teachings have a strong emphasis on self-possession and developing personal connection to Feri practice. 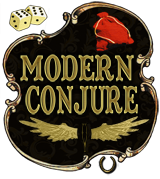 She works with ancestors and spirits of the land of her native Alemanic region, she is a Bone Reader and Firewalk Instructor. Email her at margit@yo-sono.de to see if training with her is for you. 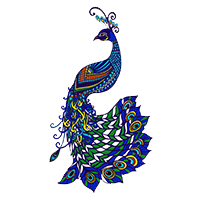 Mari_Powers (South Central, WI; In-person and Long Distance) "I teach FireDrake Feri, informed by Vanthi, from South Central WI. I teach by phone and email, and soon Skype, yet I also need to teach students from the Midwest, so we can meet and circle together, face to face. I also only teach Feri to students who can establish basic Craft skills. If you are interested in learning from me, please email me at maripowers.com@gmail.com and we will see if we are a fit. I do charge for teaching services, yet not for personal check-ins." Rodney Rusk, aka Winter Far-Wanderer (Charlotte NC; In-Person). Walking the third road between the worlds and dancing below the dark moon. Born in the Northern Lands of Lakes and Snows. Queer, Heretic, Mediator, Ecstatic, Peaceful Warrior, Wanderer and Bone Priest. Practicing both within the Feri (MorningStar Line) and Reclaiming Traditions (with a smattering of other tradition playtime). Teaches in one-on-one apprenticeship and small cohort apprenticeship formats. StarChild (San Diego, CA) "I have studied with Dominic for 9 years, and was initiated in 2003. I teach as it was taught to me. To which I have added my own splash of queer shamanism, guidance from personal spirits, divine intervention, and Zen influences." Kathryn_Tinuviel (San Diego, CA) Was brought before the gods of Feri after 9 years of study and practice with Dominic Elemirion. Classes will lead you deep into yourself where you will discover the darkness filled with a million stars. Valerie_Voigt (Palo Alto, CA) Studied with Victor and Gabriel; Works in formal ritual style derivative of Bloodrose. Emphasis on scholarship, discipline, and practice; and, like Vanthi line, incorporates techniques from Julie Tower. Regards Feri as Witchcraft, but not Wicca.